An unusual find. 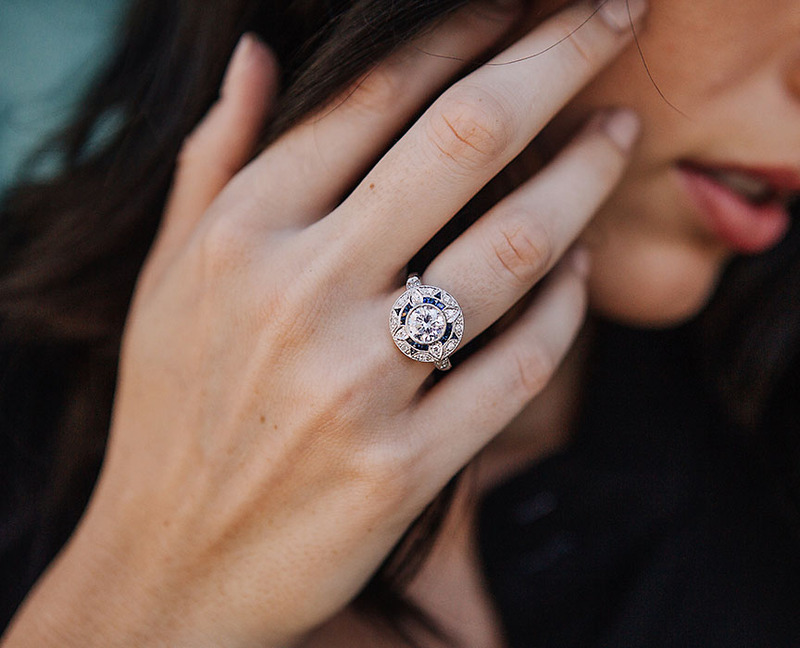 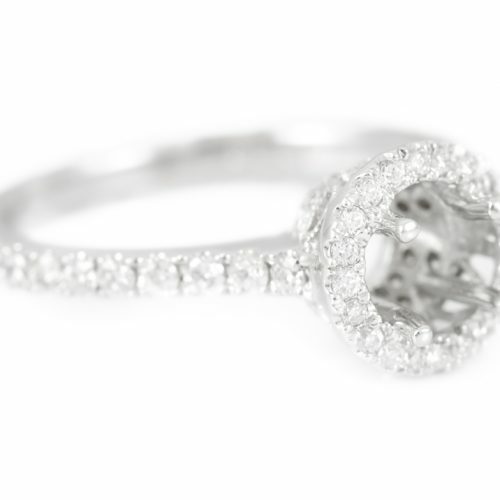 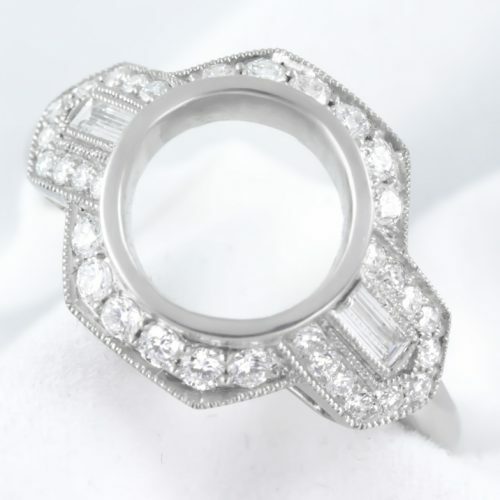 This three stone diamond ring set in platinum is uniquely designed with a Asscher diamond in the center. 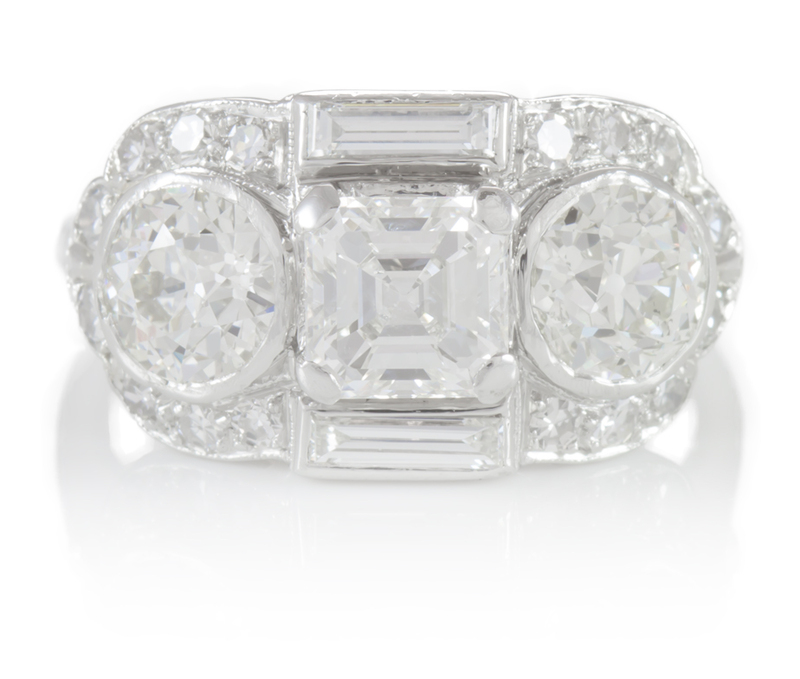 Baguettes run along the top and bottom of the asscher diamond, and the 2 round euro diamonds are encased in a diamond halo of their own. 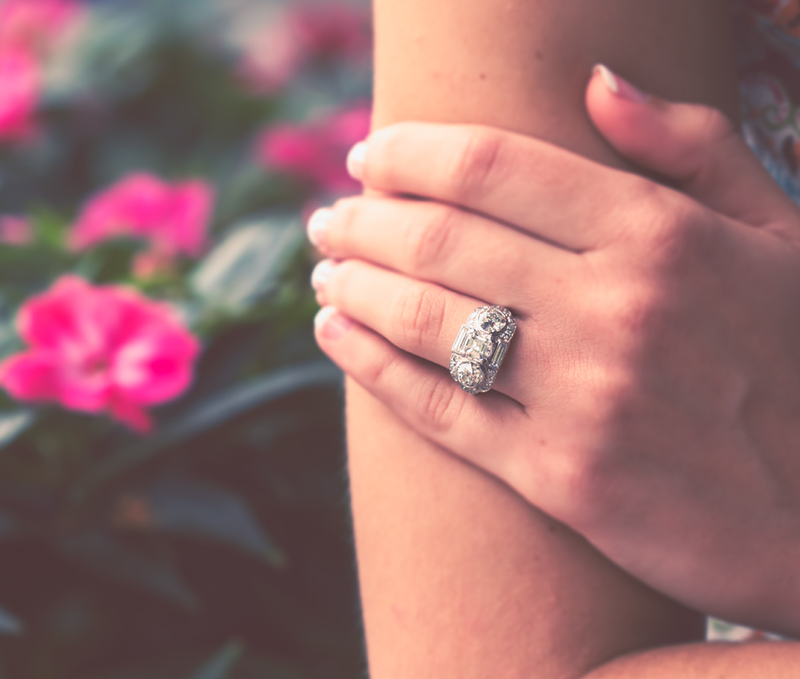 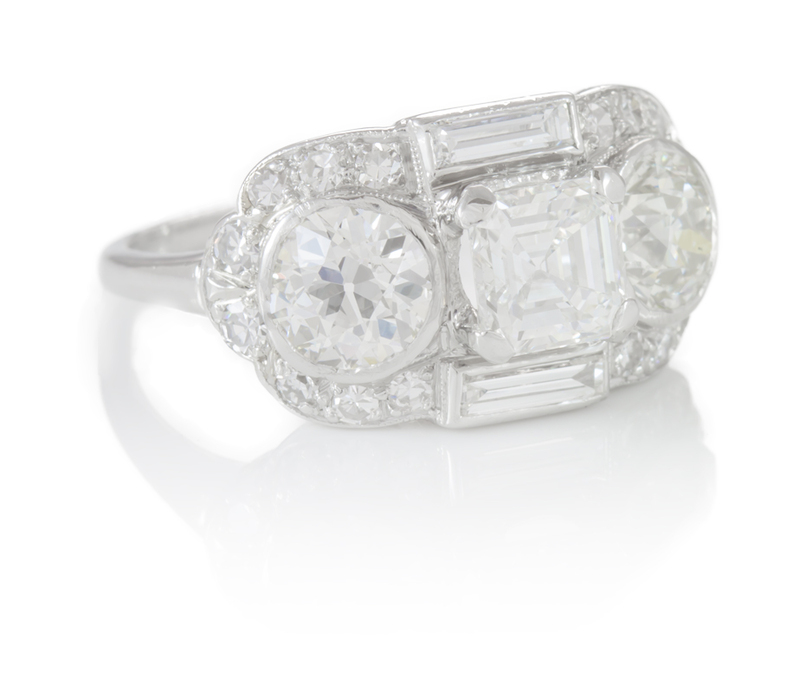 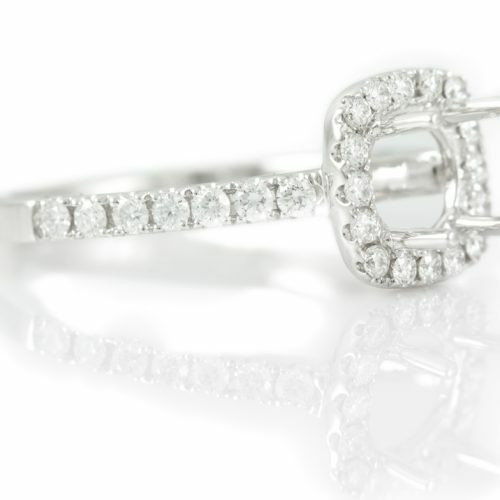 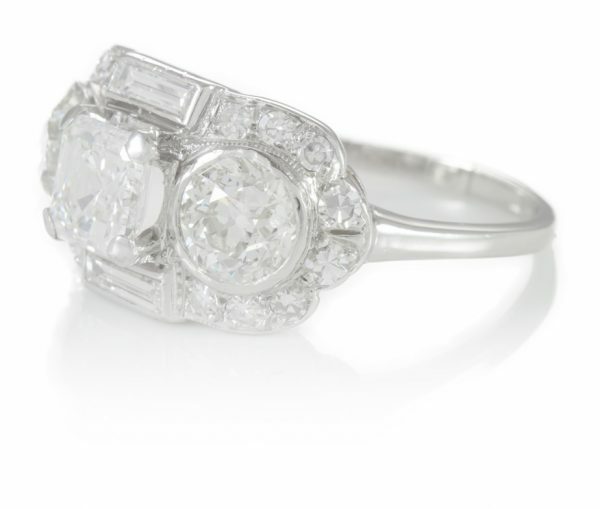 This rings looks large on the finger and sets itself apart from others made in the 1940s – 1950s time period.